For centuries, the Penan people have lived in the jungle of northern Borneo, the largest island in Asia. Now they are fighting to defend their rainforest home. Their culture and identity rely on it. Borneo is the third largest island in the world. It holds some of the oldest and most precious ecosystems on the planet and is home to an amazing diversity of indigenous cultures. It is split into three countries: Indonesia, Brunei and Malaysia. Malaysian Borneo is split into the states of Sabah and Sarawak. The Selungo river runs through a remote network of valleys in the highland interior of Sarawak. Dense forests cover the steep slopes and ridges, blanketing the land into the distance. The Penan people are the original inhabitants of these forests. The Selungo valley is one part of their homeland. Until the mid twentieth century, groups of the Penan tribe lived on the move, hunting wild boar and deer, fishing and gathering fruit, plants and sago from the jungle. This traditional nomadic culture underwent a radical change when Christian missionaries arrived and encouraged church-building. For the first time, the Penan started building permanent settlements and growing rice. Despite these changes, the traditional tribal culture lives on. The Penan number around 10,000 people, spread across many villages. Although guns have appeared, blowpipes and poison darts are still used and often favoured for hunting because they are silent. Medicinal plants are collected from the rainforest to treat illnesses, and rattan - the fibres of a wild palm - is woven into mats and baskets. The Penan still speak their own language, distinct from those of other tribal groups. 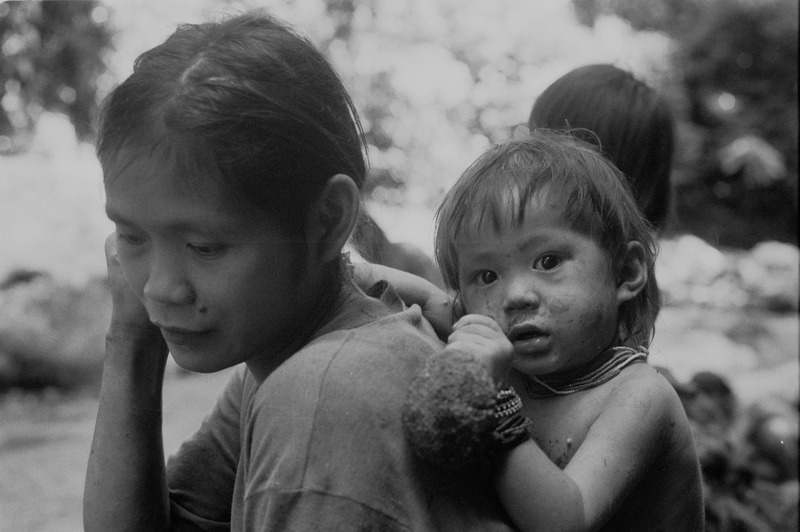 However, the rights of tribal peoples have been largely ignored by the government of Sarawak. The state leadership has granted logging companies concessions to most of its forests, without properly consulting the people who have always lived on those lands. This means the companies have permission from the state government to cut the Penan’s forests down. Satellite image analysis shows that a staggering 89 percent of the rainforests in Sarawak have been heavily impacted by logging, with much of the forest completely destroyed. Threatened with the destruction of their livelihood, the Penan gathered together in the 1980s and 1990s to defend their homeland. They built blockades to prevent loggers reaching their forests and protested to the government. Vast areas of forest were lost, but one of the groups that managed to hold back the loggers to some extent were the Penan from the Upper Baram area, which includes the Selungo valley. The Penan Peace Park would preserve one of the last pockets of unspoilt rainforest in Malaysian Borneo and recognise the rights of tribal peoples to control the land they have always lived on. What is the Penan Peace Park? In 2009, 18 Penan villages united to create a proposal for a new protected area. The aim: to guard their lands against loggers and preserve their culture for generations to come. The Penan Peace Park was born. 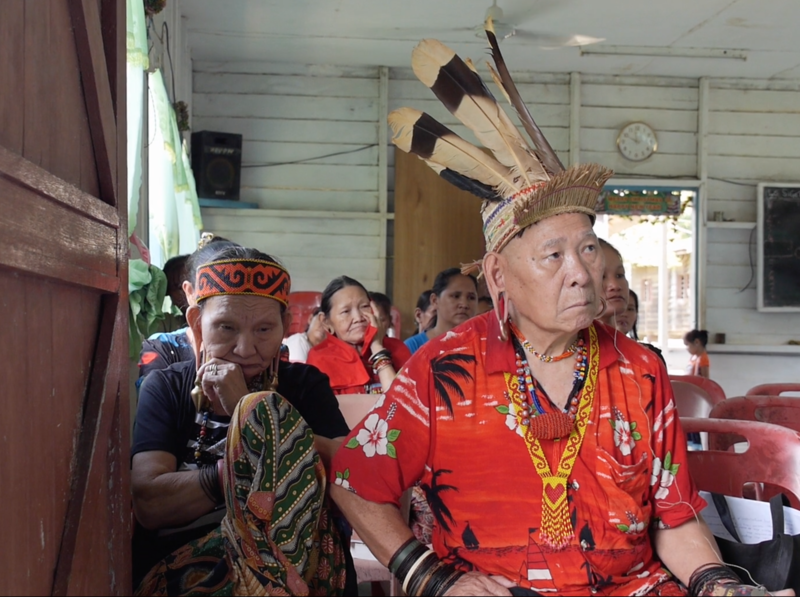 Although the Penan communities have always lived here, they do not have official title deeds to their land because the government has not provided them. There is a risk logging companies will try and bribe the villages to sign away their land rights forever. Until the Penan Peace Park is officially recognised by the government then the risk of complete deforestation remains. The area around Selungo is one of the last untouched pockets of jungle left. The villages in Upper Baram are calling out for support as they struggle to defend their land. Officially establishing the Penan Peace Park by law would be a milestone for tribal peoples and a shining example of conservation and justice. But the villages cannot do it alone. Your support can make this happen. The PPP will be a place where humanity and nature are living in harmony, where the quality of life and livelihood are secured for both present and future generations, and a place where economic and human development are socio-culturally and ecologically sustainable. Join the community of people around the world who are supporting the Peace Park, lending their voice to the campaign. Follow progress on the Sunset Over Selungo or Bruno Manser Fund Facebook pages. Plan a visit to Sarawak yourself to experience the instant hospitality of the Penan and the wonder of the rainforest. For a year following the release of Sunset Over Selungo, donations were collected to help the people in the film by directly supporting community-based projects in the Peace Park villages. A small fund was raised by very generous donors from around the world. We are hugely grateful for your support. Donations are now being spent on local initiatives including a trial internet access point to improve communication to friends and NGOs outside the Selungo area. Please check the Sunset Over Selungo Facebook page for updates on this and related news.